Ang gwapo talaga ng Trailblazer. This was the line I often hear Mr. JG say to me back when we were dating every time we spot one on the road. What is it with men loving big cars?! It’s not really about the size, it’s the overall performance and look of the car that matters. Gets. Men and cars. The admiration they have for it equates to how we women are with bags and shoes. Unlike collecting shoes and bags, collecting cars is more difficult to do. Heehee. So sige na nga, give na natin sa kanila ang admiration through car spotting. My husband’s appreciation for cars has rubbed off me and I now find myself road watching for cars that are just too cool & gwapo, I wish I get to drive them. As if the automobile gods read my mind and I got my wish all thanks to Chevrolet Philippines. 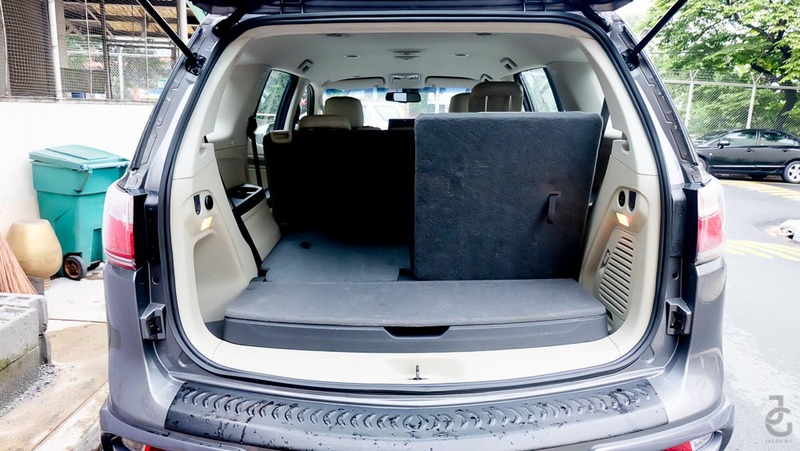 During the long (and also, my birthday) weekend last August, Chevy lent us one of their Trailblazer units to road test. Of course Mr. JG & I were both excited because one of the cars we’ve been ogling for the longest time is really ours for the weekend to use. This is the first time I’m reviewing a car. Yes, review a car from a woman’s POV. I admit, I’m not knowledgable when it comes to cars – but I’m damn proud that I know how to change tires – but I like learning about their differences and feeling the power while driving. I leave all the technicalities to the expert such as Chicdriven. But I can promise that I’ll try my very best to share what we’ve experienced during our road test. I have a feeling this is just the beginning of a series of Road Test posts and I’m pretty excited about it! The Chevrolet Trailblazer unit came to us on Friday and we had it until Monday. 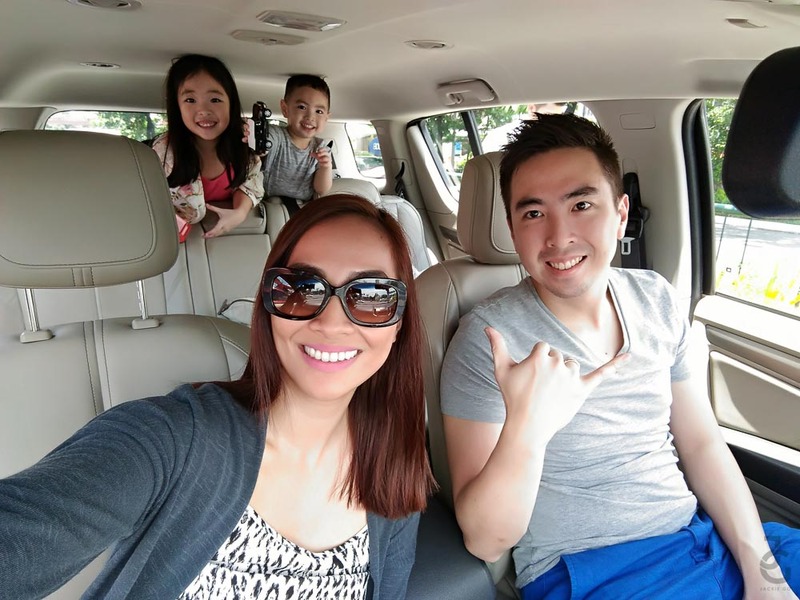 We were planning an out of town trip but since the weather was pretty crazy over the long weekend, we decide otherwise. The LED lights are something! It makes the masculine grill even more handsome. So I took this handsome one around the city with me. Immediately, I was drawn to its sleek dashboard and intoxicating smell of leather. 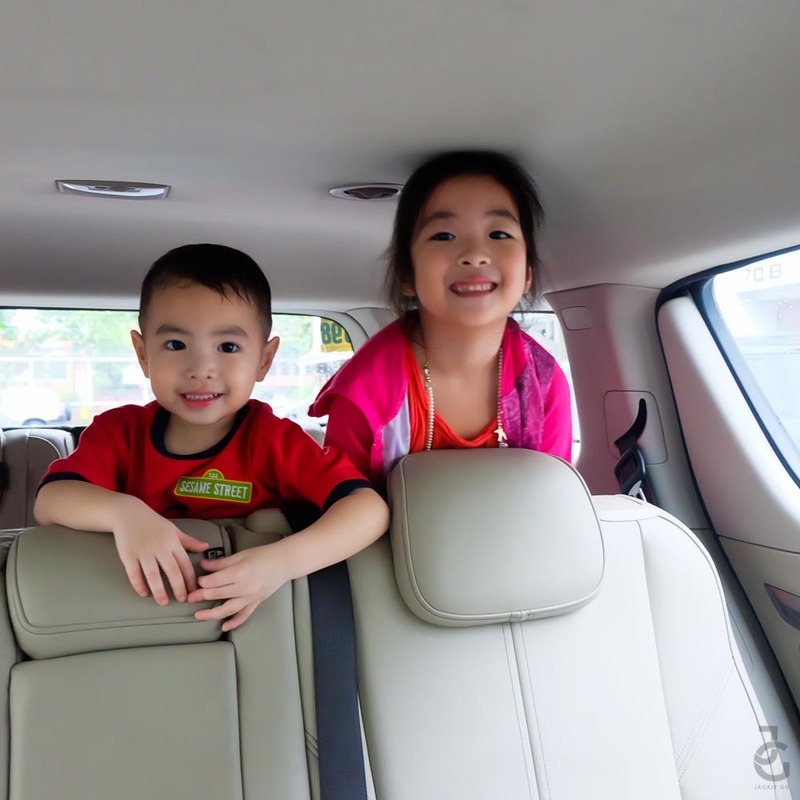 Honestly, I was pretty excited to take it out even if it was raining and I know Friday traffic is worse because the plush leather seats & leather wrapped steering wheel are good enough reason to stay in the car longer because they add comfort to driving. I was so used to cranking the levers on the left side of the seat so instinctively that’s what I did with the Trailblazer. To my surprise, its seat adjustment is a sleek as its dashboard. A little pull and a soft crank is all you need to go up or down, in or out. This for me is a sign of how classy this beast is. Ay lavett! I learned how to drive with a big car so driving this Trailblazer was a breeze. The notion that big cars are gas guzzling and “heavy or hard” to drive doesn’t always hold true. The Trailblazer has power yet handling was smooth and easy. The rear camera is such a delight because it helps me park easily. No need to constantly flick my eyes left and right & gaze the side mirrors to see what’s going on. And because it runs on diesel, you get mileage for your tank. I am very dependent on navigational apps that I am used to holding my phone or placing it atop the dashboard to get directions. With the Trailblazer, I just link my phone with MyLink and I can access whatever apps I need thru its mirror system. I can even use my phone to call and listen to my favourite songs. 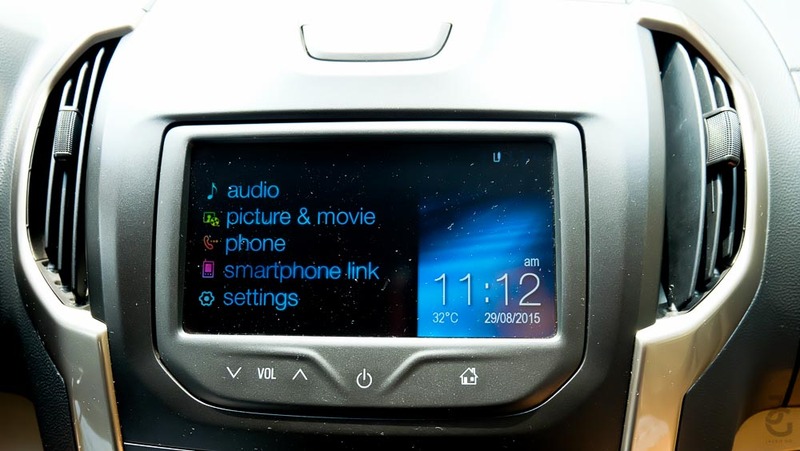 The new Chevrolet Trailblazer has a touch screen monitor that lets one stay linked online with is Android Infotainment System with Mobile connect for both iOS and Android mobile devices. You can play audio or video from your device and even call or text on your mobile through mirroring. It also has a dash camera with 32 GB of memory that offers one to optionally yet conveniently record road trips and traffic events for a more reassuring drive. Galing! 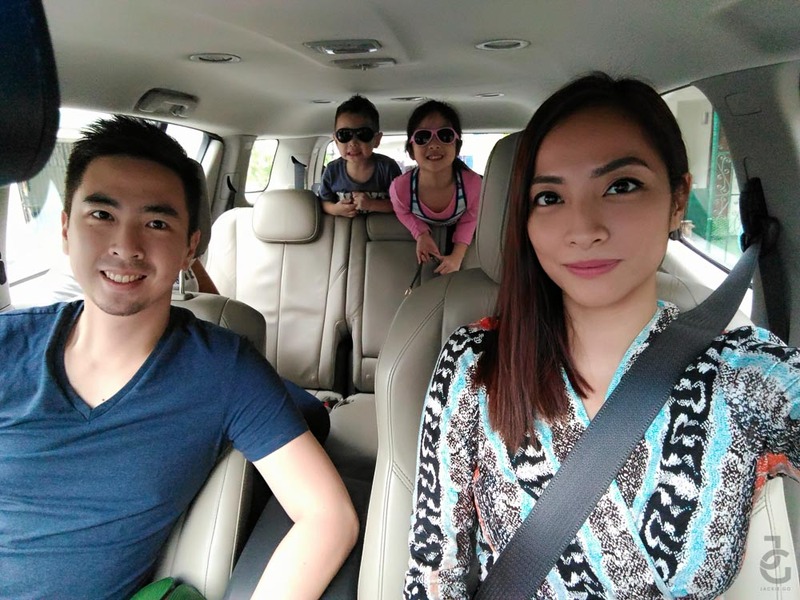 Pwede nang mag Dubsmash while driving and it’ll be recorded for you. Parang Amazing Race lang. O ha! 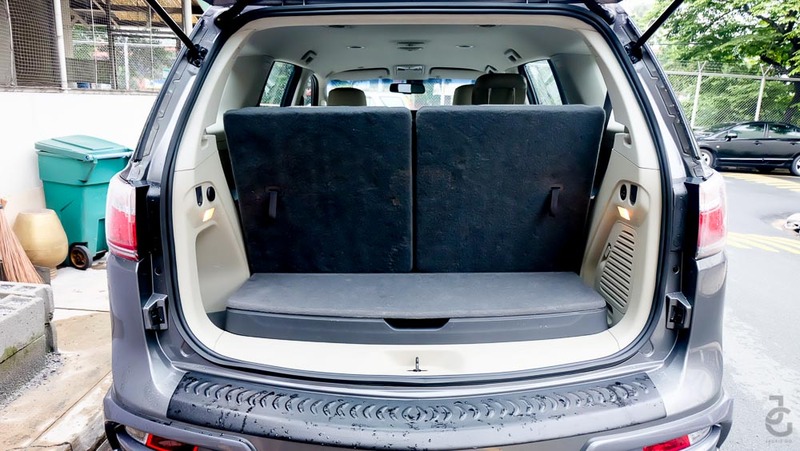 The sleek panel lets you control some of the features of the Trailblazer with ease. 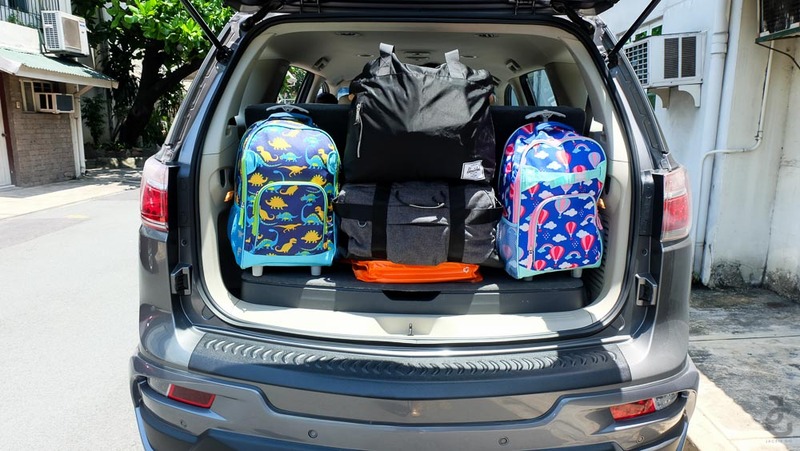 The Trailblazer is a midsize SUV. With its 2nd generation Duramax Turbo-diesel engine, the 2.8 liter Chevrolet Trailblazer produces 200hp of power at 3,600 rpm and 50 Nm of torque at 2,000 rpm, making it the most powerful in its class. Output for the 2.5-liter variants has been increased to 163 hp and 380 Nm of torque. To take advantage of the improved Duramax power plants, they paired with either a six-speed manual or a retuned six-speed automatic transmission with Active Select resulting in the Trailblazer’s optimal performance and fuel economy. 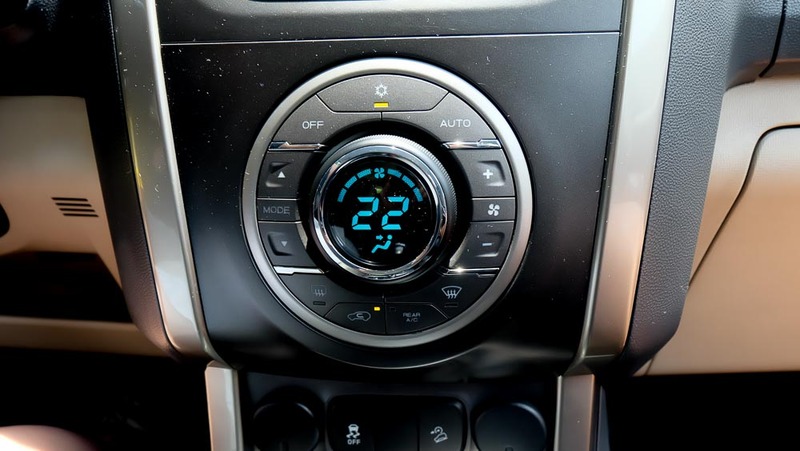 Another safety feature of the Trailblazer is the quick and easy electronic drive mode select system. It makes engaging its 4×4 drive train with limited slips differential all with a turn of the knob. Nice! These were the reactions my lil’ JGs had the moment they saw the Trailblazer. My lil’ Ms. JG was right. 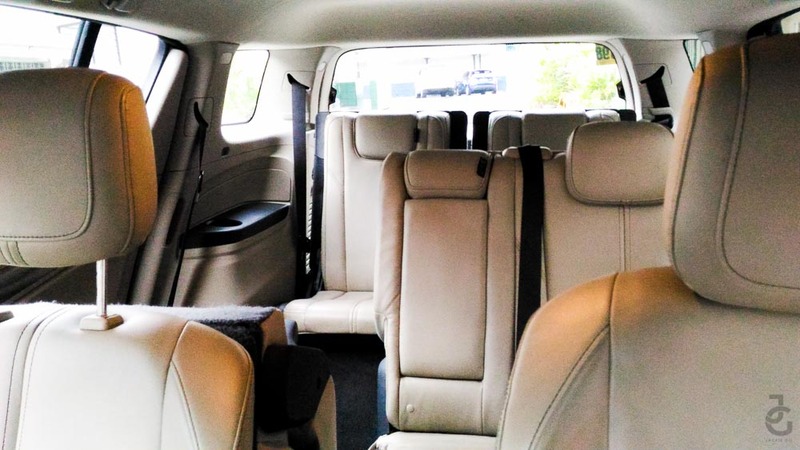 Us together with our extended family (Ahma, Angkong and Tita) can fit perfectly inside with its 7-seater capacity with great leg room and side consoles with cup holders. 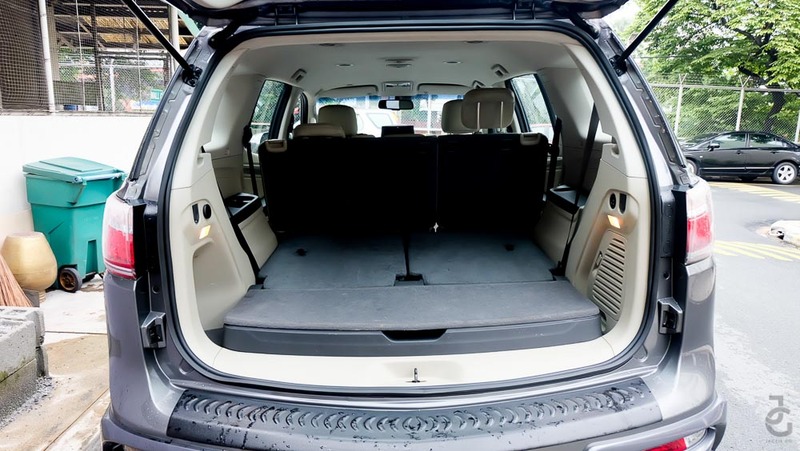 It even gave us gives us enough room put our weekend stuff at the back. My kids couldn’t get enough of the third row. When I asked how was it sitting at the rear, they said it was “awesome” because it has its own aircon and vents that they can control. To sum up, here are ten things to love about Chevrolet Trailblazer. 1. Enhanced visibility with LED projector headlamps, LED fog lamps, daytime running lamps, LED tail lamps, and headlamp levelling control. 2. 800 mm water wading capability and 3-ton towing capacity. 3. See your rear with a reversing camera and rear view mirror with chromatic LCD monitor (LT AT and LTX), dash camera with 32GB memory option, steering-wheel-mounted audio, and cruise controls. 4. Signature dual-port grille, dramatic power dome in the hood combined with raised cowl and 18-inch alloy wheels. 5. 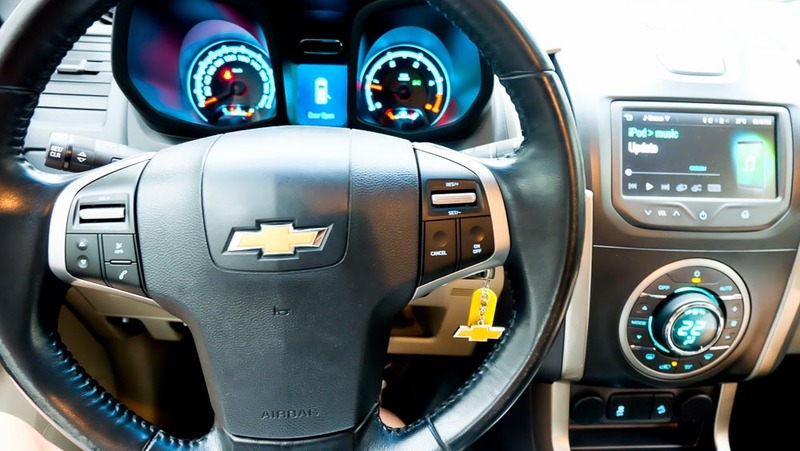 Chevrolet MyLink color touchscreen display with Mobile Connect for both iOS and Android, and Tire Pressure Monitoring System. 6. 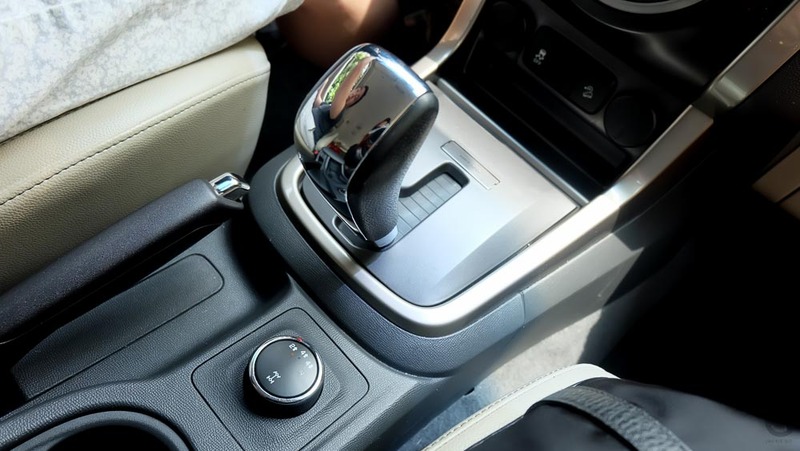 Choice between 6-speed manual or the improved 6-speed automatic transmission with Active Select. 7. Best-in-class 200 hp and 500 Nm of pulling power. 8. Engage its 4×4 drive train with limited slip differential via the Electronic Drive Mode Select system. 9. Dynamic Driving Technology including a number of advanced safety features: anti-lock brake system, dynamic brake distribution, traction control, hydraulic brake assist, panic brake assist, electronic stability control, engine drag control, cornering brake control, hydraulic brake fade assist, hill descent control, and hill start assist. 10. With its Camaro-inspired LED gauges, integrated center stack console, generous leg room and head room for 7 people, and leather interior finish. Needless to say, we loved our weekend with the Trailblazer. It’s a midsize SUV that offers a smooth ride and key features perfect whether you’re a single person who likes going on weekend adventures with your friends or a family of 4 or more. 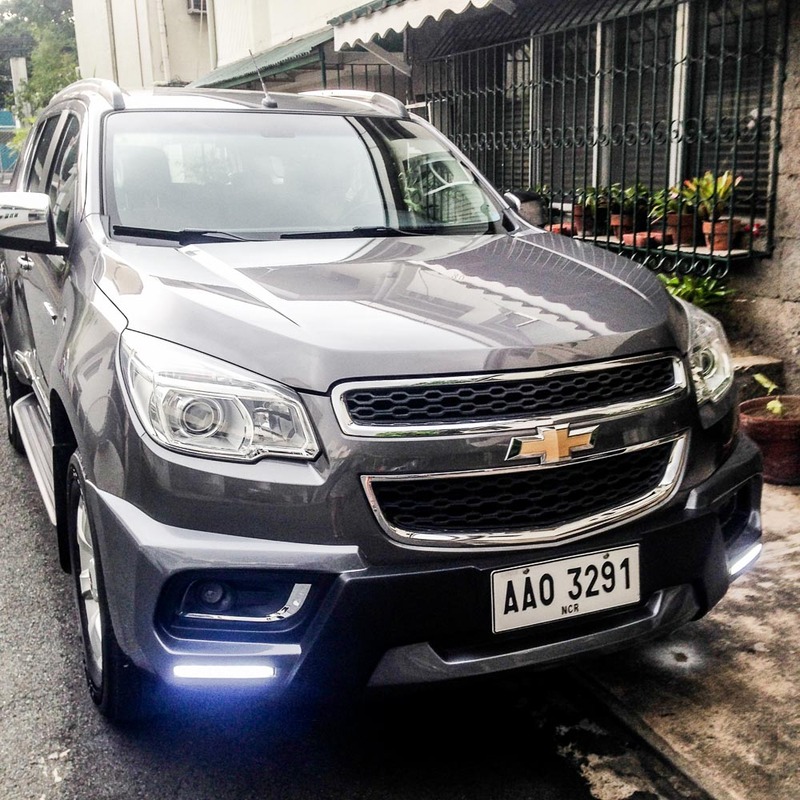 Thanks again Chevrolet Philippines for letting me experience this beast that is Chevrolet Trailblazer! You can own a Chevrolet Trailblazer for P1,298,888 – entry level 2.5 Liter DOHC 4×2 DSL 6-Speed MT LT. Go ahead and take advantage of Chevrolet’s offers in celebration of Chevrolet Truck Month, and own a Trailblazer for a low downpayment of P188,000. The Chevrolet Trailblazer is available in Summit White, Black Sapphire, Sizzled Red, Auburn Brown, Oceanic Blue, Satin Steel Grey, and Switchblade Silver.